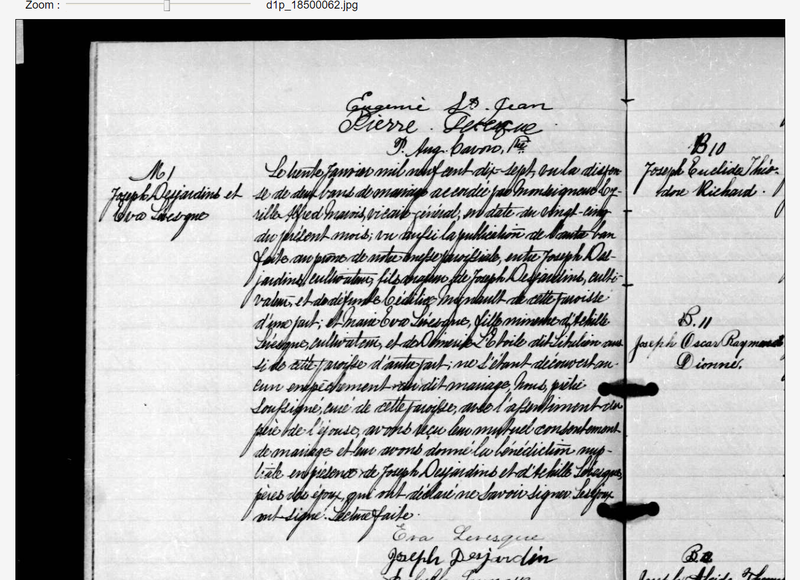 Today, we are happy to announce the addition of all 1917 Quebec Catholic marriages to Genealogy Quebec. These marriages are now available on the LAFRANCE. 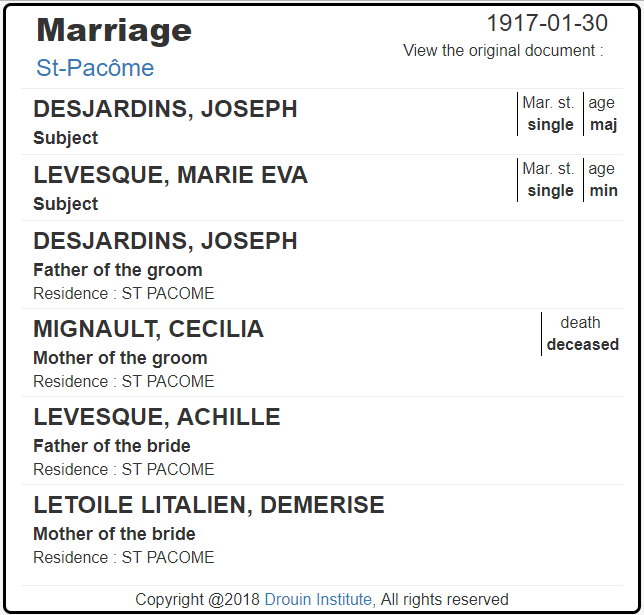 While the certificates for the 1917 marriages are now available on the LAFRANCE, they are not yet linked to the original parish document. These links will be added with the release of our first spring update. Until then, the original documents can be viewed in the Drouin Collection Records. Here is an example illustrating the process of finding the original document for a 1917 marriage. 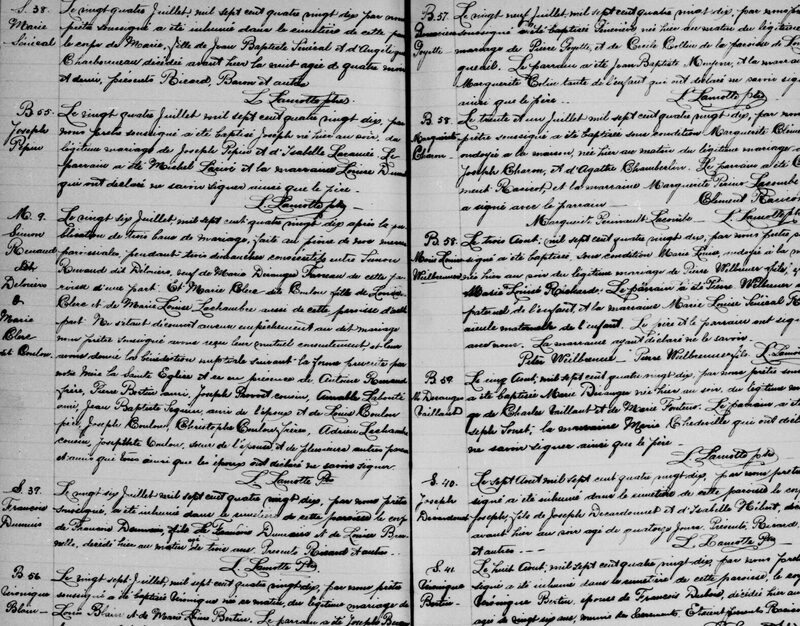 We are looking for the original document associated with the marriage certificate of Joseph Desjardins and Marie Eva Levesque. To find the original document, we will use the Drouin Collection Records tool. 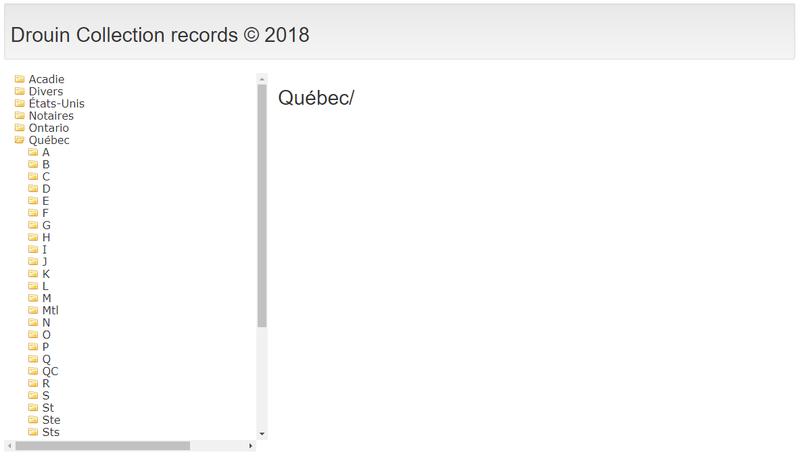 Once there, we will open the Québec folder. We must then find the folder named after the parish in which the marriage was celebrated. In our case, the parish is St-Pacôme and will be found under “St”. 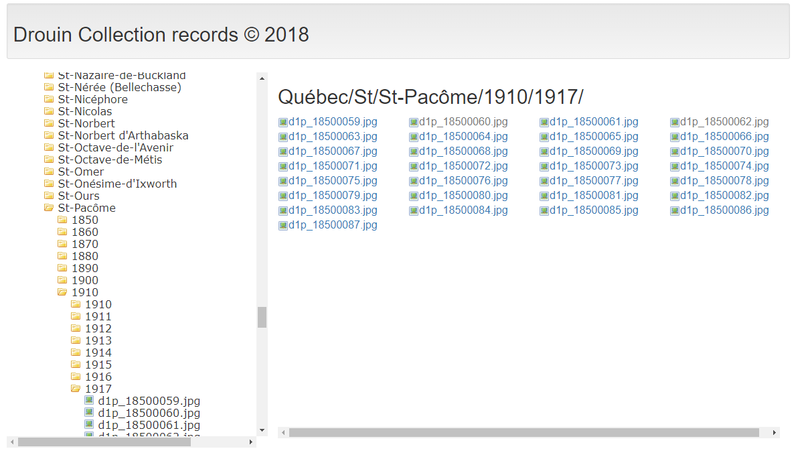 By opening the 1917 folder, we obtain the list of images of St-Pacôme’s register for that year. The images are sorted in chronological order; the first images will contain the January records, while the last few images will contain the December records. Since the marriage we are looking for was celebrated on January 30th, we know that it will be found on one of the first images. And with that, we have found the original document pertaining to Joseph Desjardins and Marie Eva Levesque’s marriage. Immigration from Old to New France, the first of a series of articles about the first French settlers.